On Page SEO is one of the most important aspects of optimizing your website for search engines. On page SEO describes all of the improvements you can make to your website that is directly visible. The oppositie of this would be “off page SEO” which describes activities like backend code that can improve your SEO. Today we are just going to be talking about actual stuff you can do on your own without having to hire anyone. 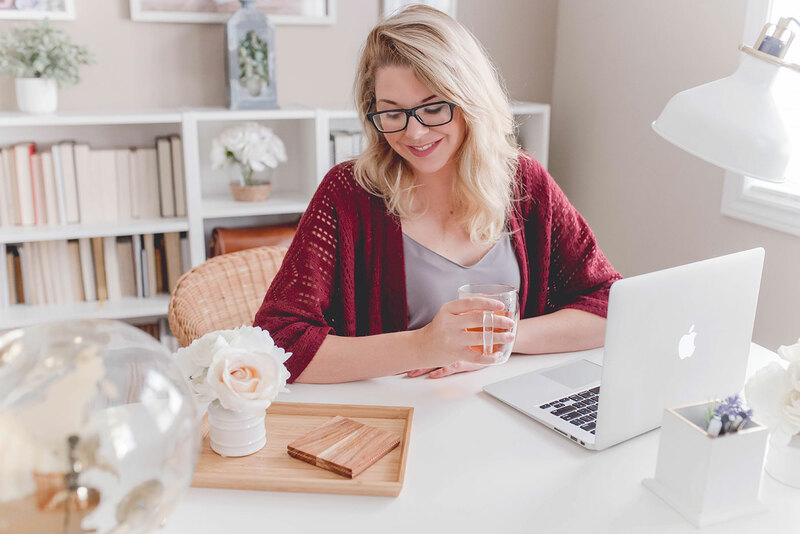 One of the most easiest and effective places you can start is with your product title. Product names are important when it comes to SEO. 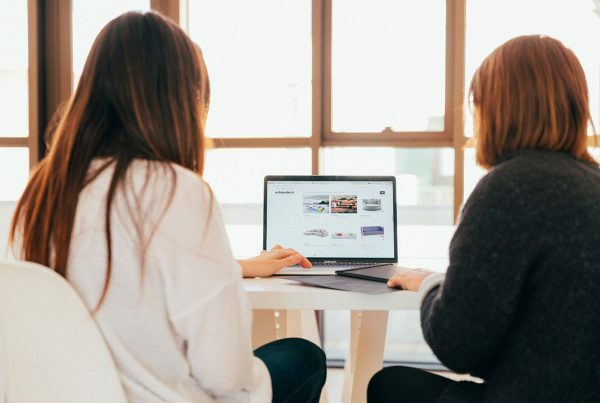 Creating the perfect SEO product title can help Google understand exactly what it is you are selling and drive more traffic to your site. 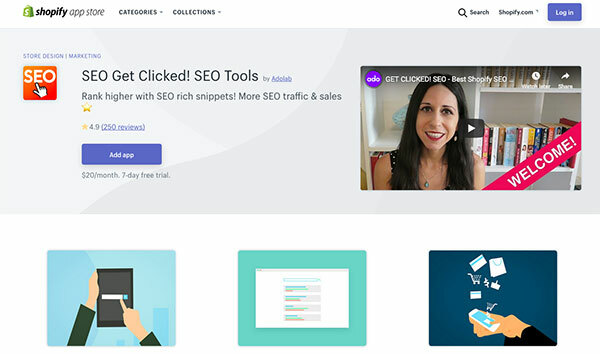 As the creator of the Shopify app, SEO Get Clicked I have seen thousands of online stores and thousands of product titles. We’ve seen really great product titles and really bad product titles. 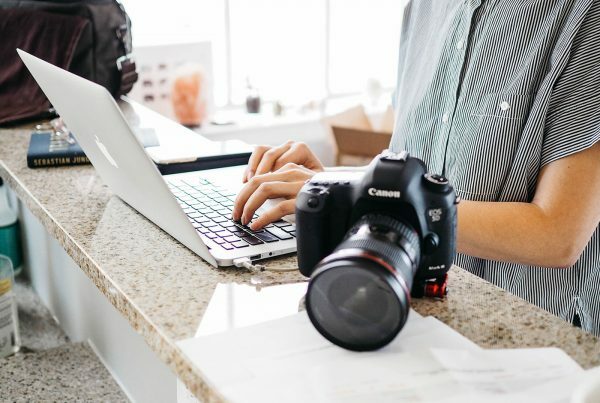 In this article, we’ll explain how to create the very best product title that will encourage Google to display your products in search results so that you can drive traffic to your store. What is a Product Title? 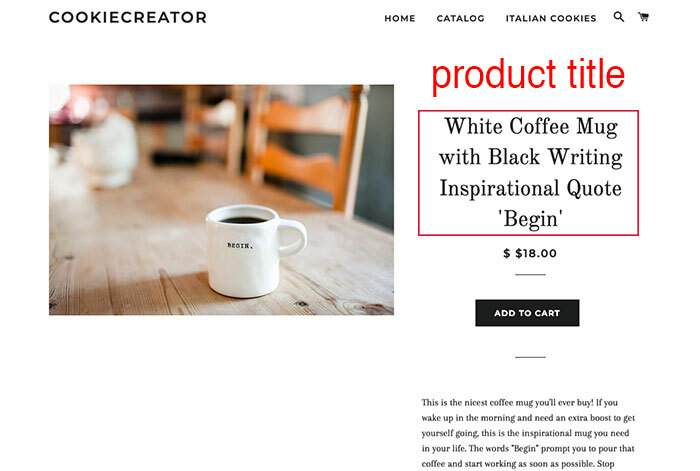 A product title is the name of your product that displays on your product page. 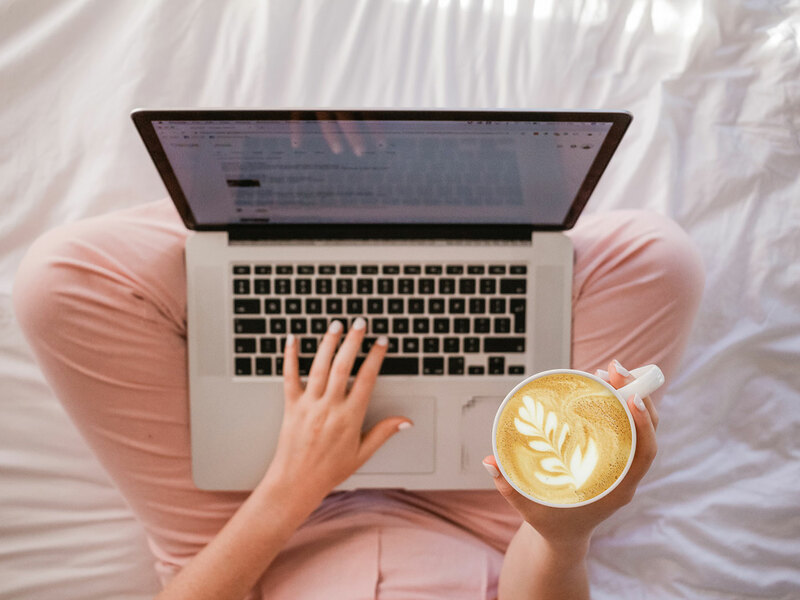 Your product title appears as the top headline of your product page and announces to your shoppers (and search engines) exactly what you are selling. A product title should describe what you are selling. If I couldn’t see your image, would I know what you were selling if I could only read your product title? Why are Product Titles important? Google is a blind robot. Googles doesn’t have eyes to see your product images. 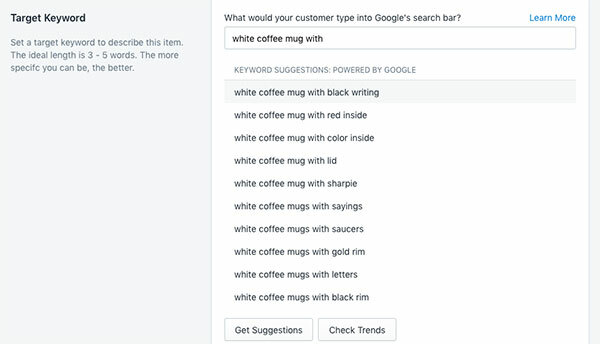 The only way Google can make sense of your product page is by the words you use to describe your product. This is why having a clearly defined, descriptive product title that says exactly what you’re selling is so important. If google doesn’t know what you’re selling, they aren’t going to show you in search results. The idea is to make it easy for Google to understand what you are selling so they can show you in search results when someone searches for that type of product. Your product title signals to Google what keywords you want to rank for. Naming your product title strategically can make the difference between ranking for a term and not ranking. For any online business to survive, they should aim to rank for keywords because this will help drive (unpaid) organic traffic to their site. If you are new to keywords, don’t worry, I’ll explain them here quickly in a nutshell. 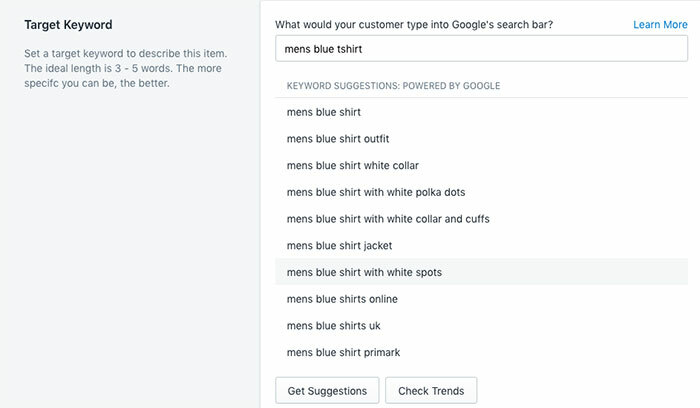 Keywords are terms or phrases that are people are searching for on Google when they want to buy something. The idea is to target keywords that are 3+ words in length, have low competition and a high amount of searches. Your goal is to target this keyword in your product title. 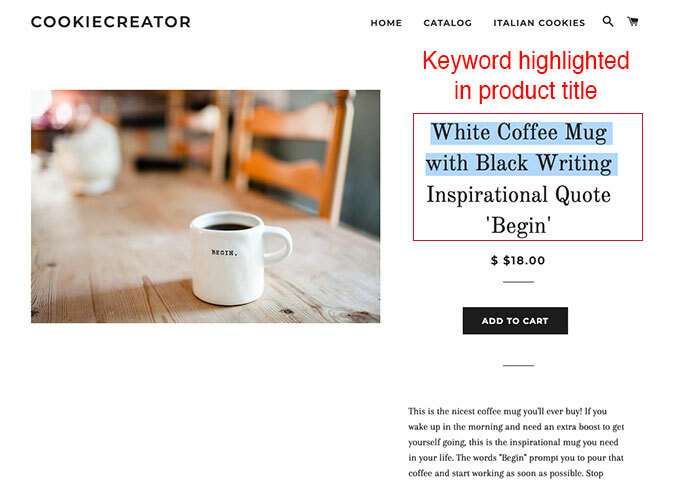 Notice how in the example below we are targeting the keyword “white coffee mug with black writing.” This has been highlighted for emphasis. Including our keyword in your product name is the best way to show Google what you want to rank for. It also helps shoppers find your products and drives organic traffic to your site. This way, when someone searches for a product you sell, and your product title matches what they are searching for, you have a better chance at being shown in search results by Google. Tell search engines what your product looks like with words. If you are selling a blue coat, make sure the words ‘blue’ and ‘coat’ are in your product title. 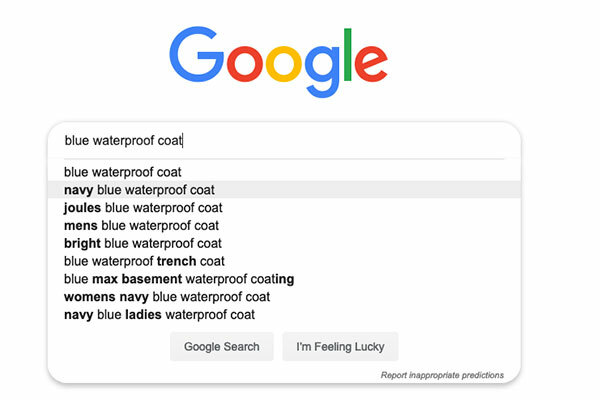 If the coat you are selling just happens to be waterproof, perhaps throw in the word ‘waterproof’ into the product title as well. Creating cool sounding product titles (that don’t actually say what you are selling) is very tempting. Resist the urge! Although it’s super tempting to name your t-shirt “Downtown Urban City” this really doesn’t say much about your product. This product title is missing the noun “tshirt” which is super important because it tells Google what kind of product you’re selling. Search engines are not going to understand what you are selling if you use poetic language. Remember, they can’t see your product images so you’ll need to tell them exactly what you have for sale. For example, our product might be better off if we named it, “mens blue t-shirt with white spots.” This is something people actually search for and it describes our product. Stop and take a look at one of your product titles right now. Are you guilty of being poetic? 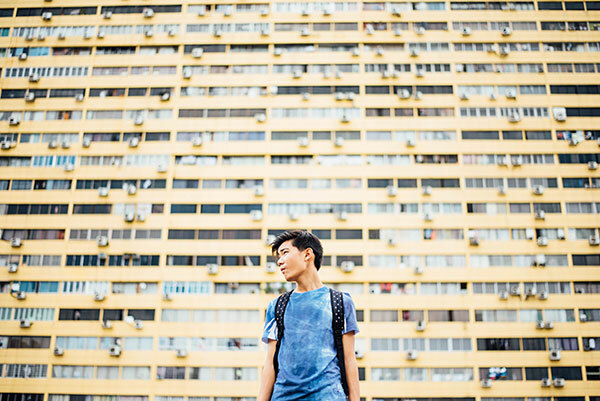 Take another moment to optimize your product titles to include nouns and descriptive words. If you’re selling tea, the word “Tea” should probably be somewhere in your product title. Likewise, if you’re selling an “art print” that should probably also be somewhere in your product title. Need some inspiration? Check out Macy’s. This big box retailer knows the importance of naming all of their products with well researched, targeted keywords. They also understand that on page SEO will drive more traffic to their online stores, while their physical locations are closing. 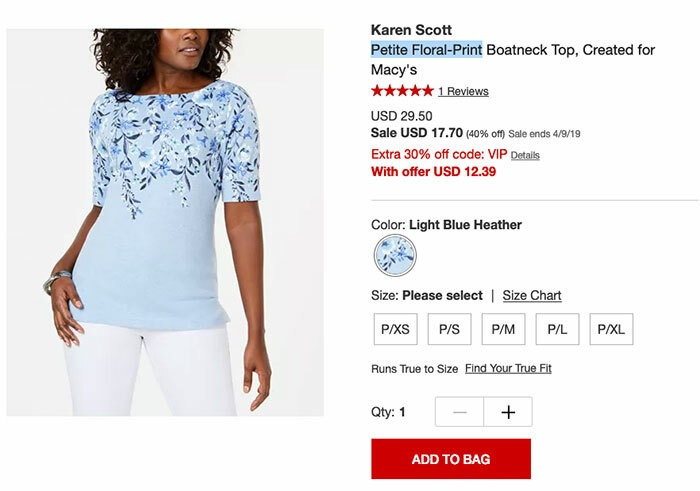 Take this Petite Floral Print Boatneck Top Created for Macy’s. This targets the keyword “petite float print” and describes exactly what is for sale. This way if someone is searching “petite float print,” Google will show them this product in search results. Another example comes from Lowe’s Home Improvement (an American based company that sells hardware and supplies). 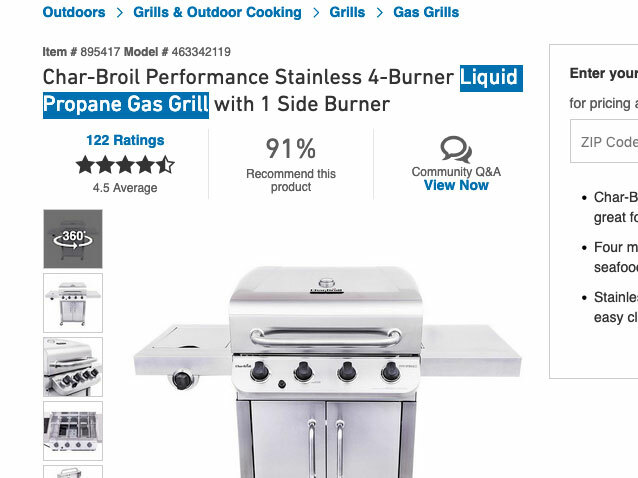 This outdoor BBQ targets the keyword “liquid propane gas grill” and they do this well by including this phrase in their product title. If someone searches for this phrase on Google, they are most likely going to see this product page listed in search results. 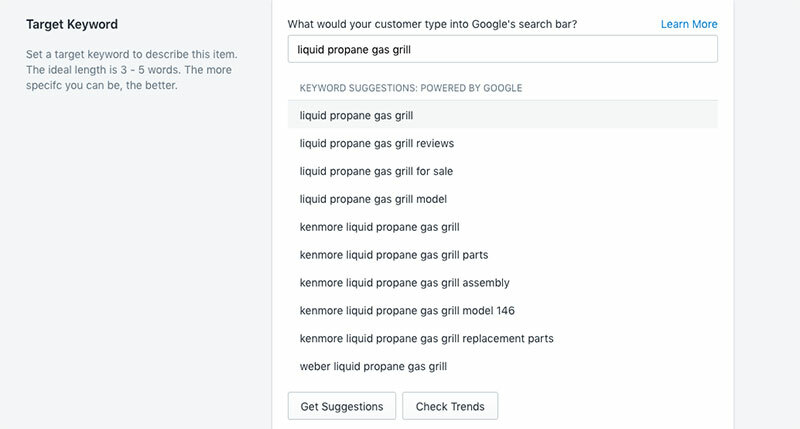 If we do a little keyword research using SEO Get Clicked, and you’ll quickly see that this phrase “liquid propane gas grill” is indeed something people search for. It wasn’t by chance or coincidence that this multi-million dollar hardware store decided to include these words in their product title. They knew exactly what they were doing. Lo and behold this search phrase is indeed a good keyword! Writing product titles can be a little tricky. Thankfully, SEO Get Clicked can help you with your on page SEO! Our simple to use app helps you write perfect titles for all of your your product and collections. Above all, Get Clicked scans your product page for any issues it finds and report these to you so you can fix them. Most importantly, Get Clicked will alert you if your keyword is not found in your product title. 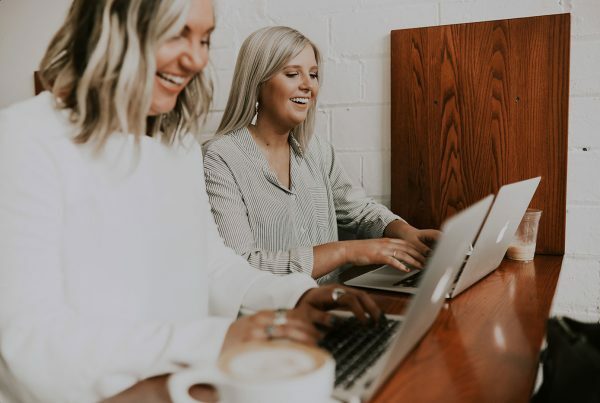 I hope that you have a better understanding of how to do on page SEO on your Shopify store. Know you know that improving your product titles will have a beneficial effect on your overall ranking with Google. If you have any questions for us, we would be happy to help you out. Feel free to get in touch with us here.